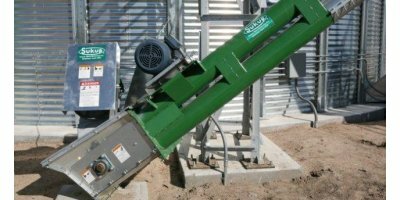 Our conveyor systems will meet any demand for transportation of crops to and from our bins and mobile dryers. All the systems are known for their high quality, durability, efficiency and flexibility. The Westfield grain auger is a Canadian quality product, that is produced at the world's largest specialized factory. Both design and construction have been tested before the products reach the customer. Big inlet with lid at the top of the bins. Roof ladder with railing and non-skid steps. Resin anchor foundation bolts. Flexible sealant between bin and foundation. Large external access door fitted with safety device. Large external ladder with safety cage or spiral staircase. Internal inspection ladder. Large roof manhole with safety railing. Efficient and durable unloading equipment with 35 to 100 tons/hour capacity. With the Dan-Corn stirring system you can easily store and dry moist grain in up to 8 m grain depth in our outdoor storage bins. The drying process must be activated as soon as an even grain layer (0.5-1 m) is in the bin. 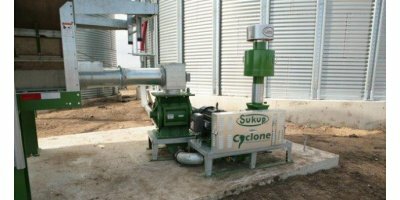 The Dan-Corn unloading system for round, steel bins consists of an unloading auger with a drive unit, a centresump and a number of intermediate sumps operated by an external handle. Designed and manufactured in the USA. Bin diameter from 4.57 to 6.40 m. Bin capacities from 59 to 214.5 tons of wheat. Volume from 78 to 282 m3 with 45° cone shaped hopper. Strong Roller-Gate outlet slide. Galvanised legs bolted to two silo rings. External ladder with safety cage. Roof ladder to the top of the silo. 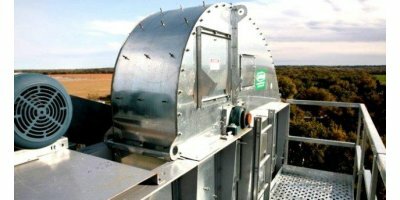 32° silo roof with inspection hatch in the roof sheet. With anchor bolts for easy attachment to the foundation. 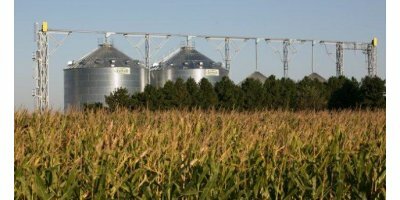 Dan-Corn grain bins are also available with a painted surface. The hot dip galvanized silo sheets are degreased whereupon they are painted with a durable powder coating. You may choose between 1688 different RAL colours – this means that we can always adapt the silo project to your specific requirement. 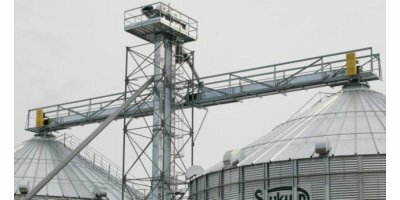 Products by Sukup Manufacturing Co.
Sukup Bucket Elevators give you the capacity for expansion. You want to know the equipment you purchase is reliable and our bucket elevators are just that; with UHMW seals on all shafts, durable SOFR rubber belting and heavy-gauge trunking. Additionally, Sukup can offer you what our competitors won't: a bucket elevator built to your specifications.